2. How is methamphetamine consumed? 3. Why do people abuse methamphetamine? 4. Can methamphetamine help me to get rid of addictions to other drugs? 5. What damage does methamphetamine bring to our health? The chemical name of “Ice” is methamphetamine hydrochloride. It is a strong drug which stimulates the activities of our central nerve system. The chemical structure resembles adrenaline in body. It exists in the form of clear crystal; therefore it is nicknamed “Ice”. When it was first manufactured in the early twentieth century, methamphetamine was used for keeping soldiers alert in battlefield, raising their performance in prolonged combat action. After the war, people began to abuse in party scene, and its addiction problem and harmful effect to health becomes more and more apparent. In Hong Kong, the most common way of consumption is inhalation of vapourized “Ice”, through a filter which is made of straws and containers of packed beverage. The filter lessens bitter taste and adds favour to the fume. Oral ingestion, nasal insufflations and venous injection of methamphetamine are rare in Hong Kong. 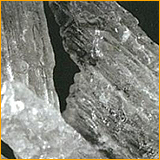 As a stimulant, methamphetamine enhances alertness. At higher dosage, it leads to desirable effects like excitement, inflated confidence and increased libido etc. As methamphetamine can suppress appetite, it is also being used by some women as a weight-reduction agent. As the euphoria produced by stimulant is abnormally intense, pleasure from daily activities becomes insignificant. Therefore, the person gradually loses interest to usual pleasurable activities. Consuming methamphetamine becomes the sole source of gratification in life. Like other illicit drugs, amphetamine causes addiction after repetitive use. The intense psychological craving haunts the person at all times. Withdrawal symptoms appear after suddenly stopping consumption; the person becomes dejected, lethargic and even depressed and suicidal. To carry on with life, the only way is to continue using methamphetamine every day. There is a widespread misbelieve among substance abusers that methamphetamine can get rid of addiction on other drugs such as heroin. Some people wrongly believe that methamphetamine is less addictive than other illicit substances. Actually, adding methamphetamine to other drug addiction problem will only make the condition go from bad to worse. Methamphetamine damages brain cells. Even a brief period of methamphetamine use can cause hand tremor, bruxism (involuntary grinding of teeth), unstable mood, irritability and paranoia. Chronic use will likely impair our brain function and have a negative impact on our school and work performance. Methamphetamine abuse can lead to Parkinsonism features which are characterized by marked hand tremor. There is a speculation that Adolf Hilter’s Parkinsonism was caused by methamphetamine use. Many methamphetamine abusers suffer from mental illness. A research found that 20% of methamphetamine-dependent people experience hallucination, delusion, insomnia, irritability and abnormal behaviour, resembling features in schizophrenia. Among these people, some have their symptoms persisting even a few months after stopping methamphetamine; these symptoms are also more resistant to treatment than those in schizophrenia, eventually leading to treatment in a mental hospital. Apart from damage to brain, methamphetamine also causes hypertension and abnormal heart rhythm, increasing the risk of heart disease and stroke. Like cough-mixture abusers, methamphetamine abusers commonly have dental cares or loss of teeth, due to their poor oral hygiene. Skin lesions also appear on face and other parts of body. Some people try to make themselves look better by abusing methamphetamine, presumably for the weight-reducing effect. In fact, methamphetamine ruins one’s appearance rather than making one look better.